Darien resident Franca Mulligan has created the Gerry & Franca Mulligan Scholarship for young musicians. The first-ever recipient is Jordan Pettay, a graduate of Booker T. Washington High School for the Arts in Dallas. Pettay will receive the honors at a special Gerry Mulligan Tribute Concert presented by the Juilliard Jazz Ensemble on Wednesday, Feb. 29, at Juilliard's Peter Jay Sharp Theater. 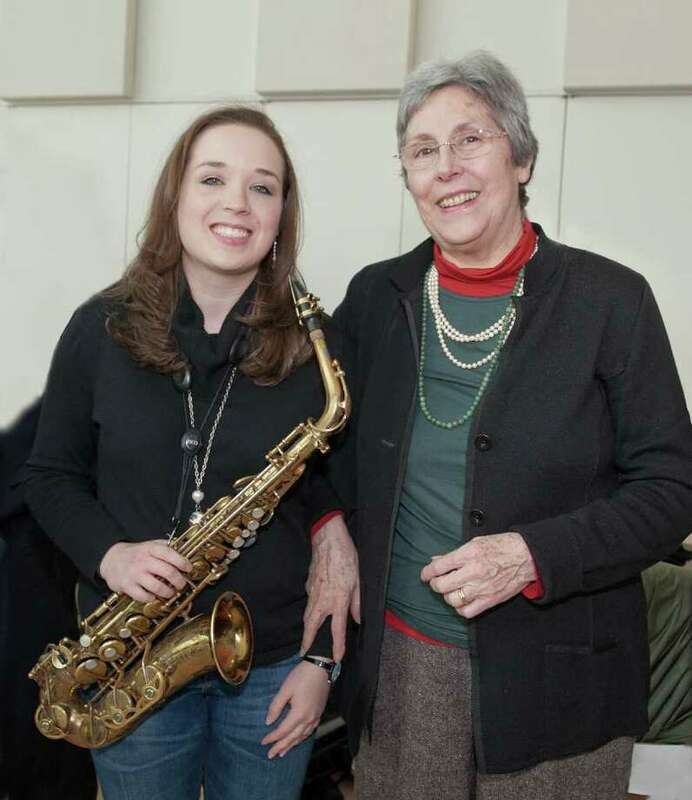 "I am completely honored and in awe that I have received this scholarship from one of the greatest saxophonists in the world and a man who inspired me," Pettay said. One of Gerry Mulligan's baritone saxophones will also be donated to the school. Students nationwide can now download Mulligan's music for free. "We are now providing all of my husband's music for free to students around the world. It was always Gerry's dream to help aspiring young musicians," Franca Mulligan said. Pettay and the Juilliard Jazz Orchestra will perform a special concert featuring the music of the legendary Gerry Mulligan. Gary Smulyan will be a special guest artist. The Gerry & Franca Mulligan Foundation is a charitable organization and was established to fulfill Gerry's wish of supporting young musicians to attend music school, and to donate music instruments to inner city schools. The foundation also provides free downloads of Gerry Mulligan's music for educational purposes. Go to www.gerrymulligan.com to learn more. Pettay was raised in Colleyville, Texas, and began playing the saxophone at 11 years old. She graduated from Booker T. Washington High School for the Arts in Dallas and is now a fourth-year undergraduate student of Ron Blake at Juilliard. Highlights from some of Pettay's recent performances include a performance with country star Trisha Yearwood,at Radio City Music Hall and performing the national anthem at a New York Giants' NFL game. As composer, arranger, saxophonist and conductor, Gerry Mulligan played a vital role in the history of modern jazz and contemporary music. As one of the great jazz innovators, his writing and playing influenced entire stylistic movements, including both "cool jazz" and "bossa nova." He was consistently voted number one in jazz polls around the world.